Each year, we look forward to celebrating High Holy Days—with members and non-members alike. Join us to toss breadcrumbs into Umstead Creek for Tashlich. Come dance with the Torah on Simchat Torah. Bring your shofar to be part of our traditional Rosh Hashanah shofar chorus. Our High Holy Days include inspiring rabbinical sermons, beautiful liturgy, and multiple opportunities to usher in the New Year. We offer many ways to renew your spirit and deepen your inner reflection. Come observe the High Holy Days at Kehillah, where everyone is welcome to every service and event. Celebrate with Us! Non-members and Guests who wish to purchase passes, click here or call 919.942.8914. In these times of heightened security concerns, we are taking steps to enhance security. All attendees are asked to bring their passes to each service. This policy is intended to balance safety and security with continuing our long-time tradition of being an open and welcoming community. 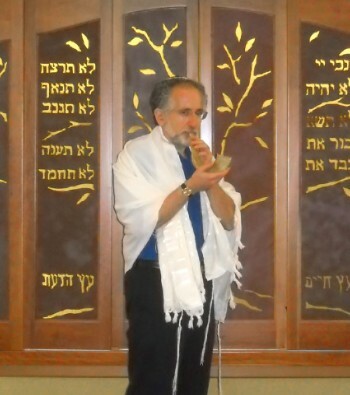 First Day Rosh Hashanah Services[/column][column]Sept. 9, 7 p.m.
Umstead Park in Chapel Hill Sept. 10, 4 p.m.
Tashlich is a short service which includes throwing breadcrumbs into moving water. This act symbolizes purifying ourselves of our sins. After Tashlich, many stay to schmooze and play on the playground. Second Day Rosh Hashanah Services Sept. 11, 9 a.m.
Kol Nidre/Erev Yom Kippur Sept. 18, 6:45 p.m. Sanctuary doors close at 6:45 p.m. and remain closed until after chanting of the Kol Nidre prayer. Yom Kippur Morning Service Sept. 19, 9 a.m. Please do not park in any space that is marked as reserved. Overflow parking is available at the Dogwood Deck for a fee. Please note that the Community Church on Purefoy is NOT available for parking on Rosh Hashanah Day 1 and Day 2 or for Yom Kippur. Babysitting is available on both days of Rosh Hashanah and on Yom Kippur from 10 a.m.—2 p.m. for children from 18 months old through 2nd grade. Children are grouped by age. To have adequate sitters, we need children registered in advance by calling or emailing Stephanie with the name and age of your children and the number of days you need. admin@kehillahsynagogue.org; 919/942-8914. The cost is $25/day/child. Erev Simchat Torah Services[/column][column]Sept. 24, 9:45 a.m.